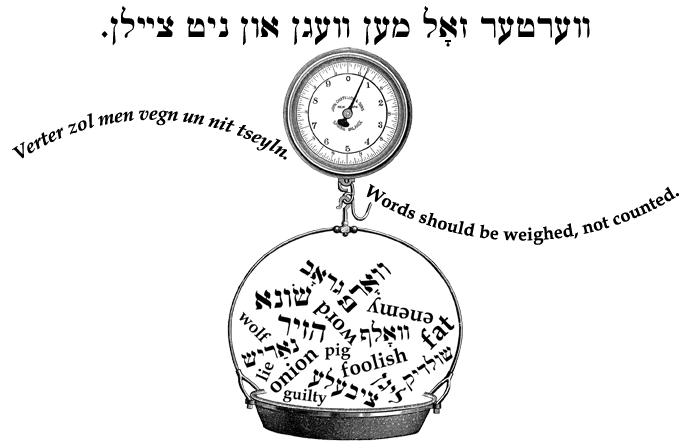 Yiddish Wit: Words should be weighed, not counted. ווערטער זאָל מען װעגן און ניט צײלן. Verter zol men vegn un nit tseyln.